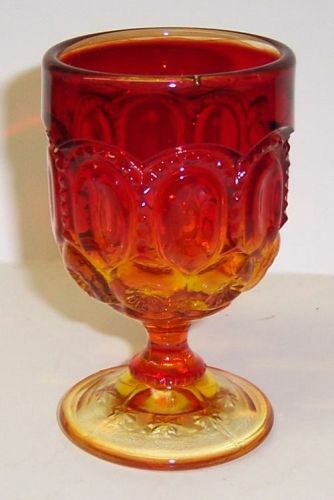 This really pretty red amberina 3 3/4 inch high Moon and Stars Wine Goblet was made by Smith Glass. This Goblet measures 2 inches in diameter across the top and holds 3 ounces. It is in very good condition with no chips, cracks or scratches. Be sure to search our other amberina Moon and Stars items available. We guarantee items to be as described. THANK YOU. 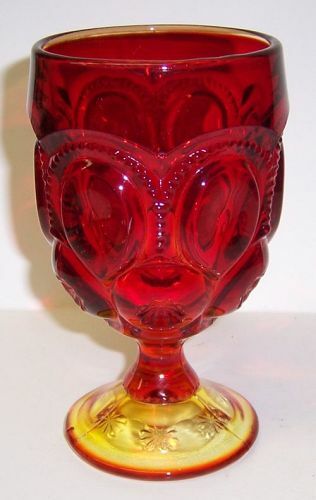 This really pretty red amberina 4 1/4 inch high Moon and Stars Sherbet was made by Smith Glass. This Sherbet measures 3 3/4 inches in diameter across the top and holds 6 ounces. It is in very good condition with no chips, cracks or scratches. Be sure to search our other amberina Moon and Stars items available. We guarantee items to be as described. THANK YOU. 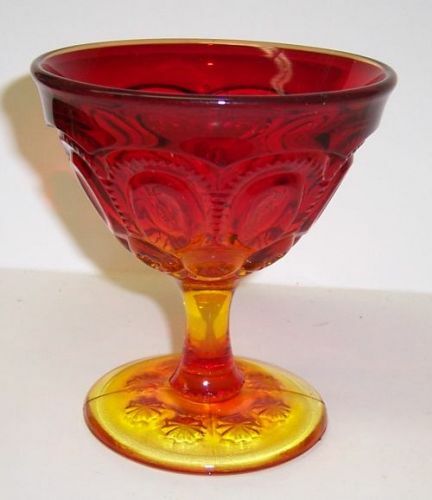 This really pretty red amberina 6 inch high Moon and Stars Water Goblet was made by Smith Glass. This Goblet measures 3 inches in diameter across the top and holds 7 ounces. It is in very good condition with no chips, cracks or scratches. Be sure to search our other amberina Moon and Stars items available. We guarantee items to be as described. THANK YOU.